Straight Line Design is a faith based business that provides inspirational design and exceptional service. 1.) Faith– Our faith in God enhances our purpose and guides every choice and interaction we have each day. 2.) Passion– Be committed heart and mind. Love what you do! 3.) Communication– Honest, Open, Direct communication aimed at continuous improvement. 4.) Leadership– Raise the level of effort and performance of those around you. Create a Winning environment for both yourself and your team. Provide Vision, Direction, and Motivation. 5.) “Wow” Customer Service– Be driven to exceed the expectations of your customers, coworkers, friends, family, and anyone else you come in contact with. 6.) Success– Failure is not an option when Success is the destination! Be the best you can be. Win the day, win the week, win the month, win the year. Success! 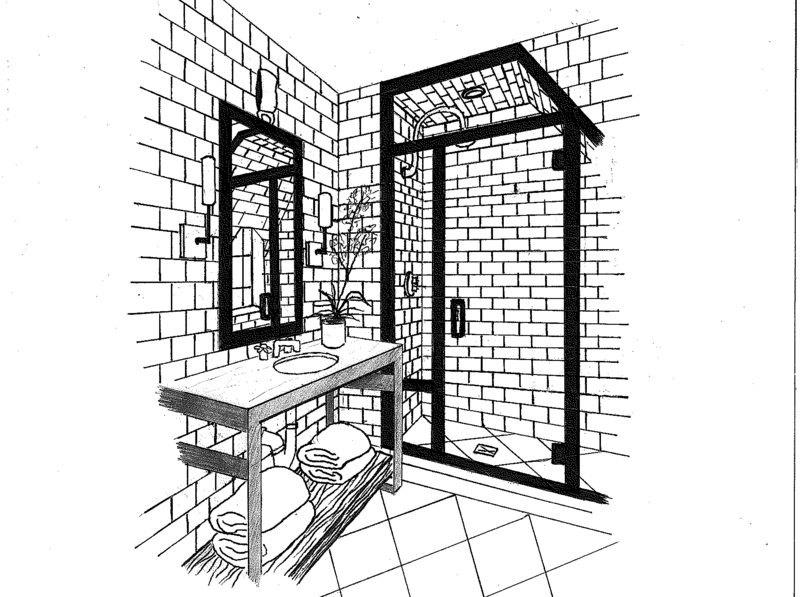 Straight Line Design Kitchen & Bath Studio started as an idea on a napkin. In 2010, Randy & Sarah Ruter turned the ideas on that napkin into reality. It all started, in Spring Lake, Michigan; a small lake shore town in West Michigan. Straight Line Design started off with three employees. In the next two years, they added more employees and expanded their reach. They created a home inside the ID9 center, a quaint furniture store right off highway 31, in Holland Michigan. Three years later, Straight Line design had outgrown its original space and moved into the old Boomers Carpet Cleaning Store off Old Grand Haven Road, also known as 174th Ave in Spring Lake, Michigan. During that time, the Holland location was expanding as well. The Holland Showroom moved out of the ID9 center and into their own store off of Douglas Ave; near downtown Holland. Randy & Sarah Ruter are blessed with the continued growth of Straight Line Design. There are now 16 employees, 12 of them work in the Spring Lake Showroom, while 4 employee now work in the Holland Showroom. Straight Line Design strongly believes in supporting the West Michigan community by continually giving to charities, fundraisers, and small businesses. We are proud sponsors of local schools and their sports teams along with competitive race events in the Grand Haven and Holland surrounding areas. We are happy and willing to make a difference in our community! 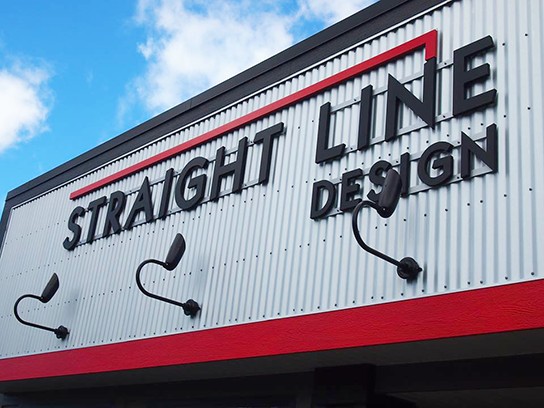 Here at Straight Line Design we pride ourselves on our exceptional customer service through every step of the design process. No matter the size of the project, we want all of our customers to feel appreciated from beginning to end of their design journey. We hope that during your time with us, our staff becomes like family to you and our showrooms feel like your second home. As designers, it’s easy for us to visualize ideas and what a space could potentially look like. However, when we describe our vision to clients, they can’t always visualize something the way that we can. To address this problem, our company uses a software program which allows the client to be able to walk through their design with a 3-D generation of the space. This helps clients see exactly what the space will look like and enables them to communicate to us what they like and dislike about the design. 20/20 is a crucial part of allowing us to do what we do and creates a more enticing experience for our clients. At Straight Line Design, we are passionate about making your home look great all the way down to the floors. We have a wide variety of carpet, hardwood, laminate, vinyl, and tile flooring at both of our showrooms. We carry many of the popular flooring brands and are always ready to satisfy any customers needs or requests. 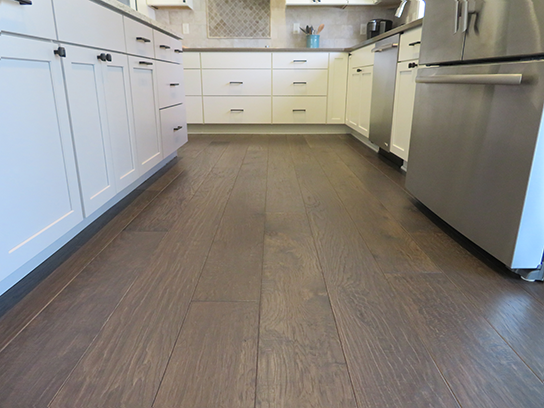 Our brands offer a large range of colors, styles, and sizes to make sure we have the perfect floor for your home. 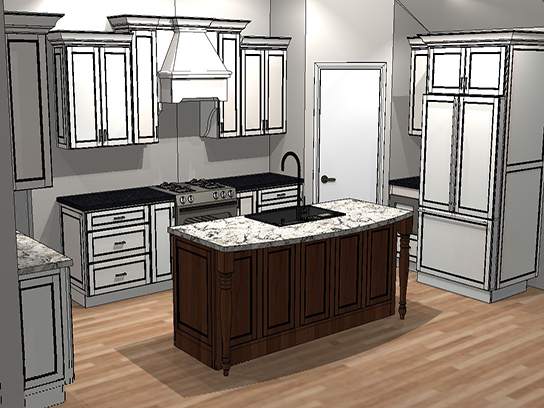 I ordered kitchen cabinets, quartz countertops, and subway tile for the backsplash through Straight Line Design. I was extremely satisfied with the service and help with the design process. I would recommend them to anyone with a remodeling project. Loved my design, loved their suggestions that came from experience. Great customer service, and they thought of the ‘little things’ that make the project complete. I will recommend them in the future. It was a pleasure working with the team at Straight Line Design as they guided us in the design of our kitchen and bathrooms in the new home we were building. They demonstrated professionalism in every phase from design to installation. We highly recommend their services. Kitchen renovations are disruptive and can take a long time, but Lisa and crew were prompt, fast, and neat. This was the easiest remodel project my husband and I have ever done. Working with Straight Line Kitchen and Bath was a pleasure. They made a sixty three year old dark kitchen sing again. Lisa and the Straight Line Design team were great to work with. They helped guide me through the many decisions in my remodel process to bring my ideas to fruition and kept the various elements moving according to the time line. I love the new look of my kitchen!